It is difficult to predict the future of any modern marketing channel or technology, but when it comes to marketing, it is very important to identify trends and make the necessary adjustments quickly. 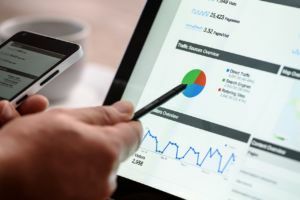 Even though not all Google updates can completely alter the way search is implemented, together they can make a huge difference for your business in Braintree. When you want to understand what the future of marketing holds for Braintree businesses, it is important to understand the history of how it started. Just over a decade ago, the leading search engines were using rather basic methods to allocate page rankings to webpages. In their attempt to rank content, Google and other search engines heavily relied on variables that internet marketers could manipulate, such as keyword density. If a search engine like Google wanted to determine the popularity of your content, it would just determine the number of inbound links to your website from across the internet. Few marketing platforms have evolved as fast as Google has done in the recent past. In the early stages, advertisting involved stuffing keywords, spamming links and tweaking codes until your site started ranking well for the words or phrases you wanted. Fortunately, Google stamped its authority and detected such practices quite early, and its modern search algorithms keep on evolving. By the end of 2000s, Google had managed to eradicate most black hat techniques and spam-focused link-building practices, while penalizing the culprits in the process. With further changes like the Penguin Update introduced in 2012, link building changed completely. Today, only natural link building and link attraction with guest posts can give you the authority you need to improve your ranking on the search engine results page. Since Google succeeds or fails by its capability to provide quality results, the company has worked hard to ensure that any loopholes are sealed – giving the internet users a better chance of finding exactly what they are searching for. The most important thing to note here is that most of the advertising techniques that worked a decade ago no longer work, and that Google and other search engines are constantly reviewing their search algorithms. Google has worked hard to make local search better and bigger in the years to come. Local search is now more revolutionary for mobile users, and has now become very prominent depending on the geographical location of the end user. Another thing to note is that there is a clear direction behind the future of search engines and ultimately the future of advertising for Braintree businesses. By understanding the direction these changes and updates are taking, you will be able to apply more innovative advertising techniques when building your Braintree business site. Not only will this help you get ready for the next set of updates, it can also help you avoid potential penalties in the future. When someone makes a search on Google, most of the tines they are searching for a solution to a given problem. While designing your website, make sure you fill it with relevant content so it can solve the problems that your potential customers are faced with. However, if you fall for substandard advertising tricks for overnight results, you are only getting yourself closer to potential penalties. Understanding how digital advertising has changed over the last few years and where it stands today can help you achieve better results for your business. Your competitors are constantly implementing the latest advertising techniques, so if you want to remain competitive, you will need to stay up-to-date with the next set of Google updates. If you are in doubt, it is highly recommended to work with a reputable Braintree SEO company.